We have collected a list of great local and national resources for you to use in your efforts to combat distracted driving. Feel free to check out these resources and help us work together to prevent any further distracted driving tragedies. The Conor Lynch Foundation has been established to support new and existing programs that raise awareness and promote the safety of runners, pedestrians, cyclists and young drivers. Your contribution, and events such as safety fairs and the annual 5K Run/Walk “In Honor Of Conor” directly benefit the foundation, and work to ensure that no family suffers a loss like Conor’s again. On October 19, 2010, while training with his high school cross country team, Conor Lynch was killed by a distracted, unlicensed, hit-and-run driver. He was 16 years old. The woman who killed him was 18 years old. Coincidentally, this tragedy occurred during National Teen Safe Driving Week. Led by MADD founder Candace Lightner, We Save Lives campaigns with other organizations, business entities and individuals who are concerned with THE 3 D’s: DRUNK, DRUGGED AND DISTRACTED driving. While drunk driving is still a very serious problem, DRUGGED AND DISTRACTED driving are emerging as critical traffic safety threats. As a representative voice on highway safety issues, We Save Lives works at the national, state and local levels utilizing policy development, targeted advocacy, outreach and educational efforts to change driving behavior. On November 23, 2007, Jessica and Kelli Uhl were traveling home from visiting with their Dad and stepmother. While traveling on an Illinois highway the girls were struck by an oncoming Illinois State Highway Patrol vehicle that was traveling at an estimated speed of 126 miles per hour. It is reported that the trooper was using his onboard computer and cellular phone while driving at this high rate of speed when he crossed the median and struck the girls’ car. Both Jessica and Kelli were killed in the crash. Their mom, Kim, speaks to police organizations around the country. 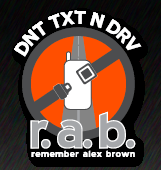 Parkview Trauma Centers offer the Don’t Text & Drive program to communities across the nation. Sending or reading text messages while driving increases the risk of having a car crash by 23 percent. Parkview’s “Don’t Text & Drive” public service campaign helps save lives by raising public awareness of this simple message. Heather was a former student who was killed in a traffic accident in 2008 by a distracted driver. HCC and the Hurd family would like to remember the hundreds of victims who are tragically killed on Maryland roads each year and acknowledge the work of our fire, police, and ambulance personnel. The proceeds from this event will benefit the Harford Community College Remembrance Book Scholarship Fund for HCC students and help raise awareness of traffic accidents, their consequences and costs, and the measures that can be taken to prevent them. Safe Roads provides educational services to all drivers on different aspects of driving safety, including: issues confronting elderly drivers, maintaining a vehicle for safe operation, child restraint systems, seat belt usage, reducing driving distractions, and driver courtesy and reduction of road-rage. Rusty’s Story is dedicated to the memory of son, John T. Gordon, who was killed by a texting driver. 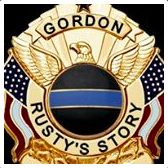 Rusty’s Story is a 45 minute power point program given by his father, John Gordon who resides in Ohio. EndDD is sponsored by the Casey Feldman Foundation and is dedicated to inspiring individuals and communities to take action to end distracted driving. Casey Feldman was just 21-years old when she was struck by a distracted driver in July 2009. On March 17, 2011 eight-year-old, Owen Cole Brezitski, was killed by a distracted 17 year-old-driver while walking in a crosswalk with his family in front of Bishop McDevitt High School in Harrisburg, PA. The driver admitted to all charges that were filed and is currently complying with sentencing requirements. Owen’s Foundation was born out of this tragedy. 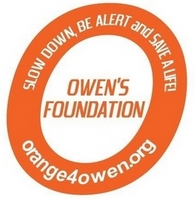 Owen’s Foundation, both a charitable fund and project of The Foundation for Enhancing Communities, was established to honor Owen and promote pedestrian, driver, traffic, and childhood safety and raise awareness of the dangers of distracted driving practices. C.L.I.F. 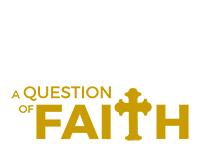 is a non-profit organization established to educate the high school and collegiate population about the dangers of distractive driving; in addition to serving as a life investment vehicle for African American young men and women in today’s society. In memory of Clifton B. Gibbs, a 23 year old college graduate killed by a distracted driver, the organization encourages academic excellence, community involvement, and a sincere lifelong commitment to refrain from any use of mobile phones while driving. Doug and Pat Ralls lost their son Brian to a cellphone distracted driver on October 28, 2009. Since that time, they have dedicated themselves to educating people about the dangers of cellphone use while driving, as well as advocating for better laws and enforcement. To date, they have spoken to more than 10,000 people all over the state of Tennessee. In addition, the family and friends of Brian have established a scholarship fund that honors his memory by providing grants for college education for students graduating from Brian’s alma mater. 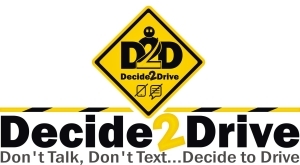 Decide2Drive is dedicated to educating the public, providing consultation to public and private companies and lobbying legislation of the dangers of distracted driving. Widow Jennifer Zamora founded this organization in honor of her husband, SSG Javier Zamora. Javier survived a tour in support of Operation Iraqi Freedom and was home for 9 months when he was killed in a motor vehicle collision caused by a distracted driver. The Brown family formed the Remember Alex Brown Foundation (RAB) to the story of their daughter, Alex Brown, who was in a single car accident as she drove to what seemed like just another ordinary day of her senior year in high school. Although no other vehicles were involved, Alex was not alone. The cell phone on which she had sent and receive over 10,000 text messages in the weeks preceding her accident was with her. Alex lost her life to texting while driving. Alex’s family travels the country to educate others about the dangers of texting while driving. DRIVE SMART Virginia, founded in 1995, is a 501c3 non-profit dedicated to educating drivers and raising traffic safety awareness in order to save lives and reduce injuries on the roadways of Virginia. DRIVE SMART Virginia reaches out to high schools, colleges and universities, organizations, and businesses to help raise awareness about dangerous driving behaviors like distracted driving. The U.S. Department of Transportation is committed to ending the epidemic of distracted driving. Check out their website at www.distraction.gov for facts & statistics, summaries of research, information on state laws, and DOT action. They also provide free, downloadable materials to start your own campaign in numerous areas including PSA’s, flyers, posters. The U.S. Department of Transportation also has a moving series called, The Faces of Distracted Driving. This series profiles the real life stories of families from across the country who share their own personal tragedies caused by distracted driving. The USAA Educational Foundation will provide you FREE of charge their brochure on distracted driving. The brochure discusses the dangers of distracted driving and how to recognize and avoid activities that can lead to a crash. Up to 250 can be ordered online and shipped for free, larger orders can call the toll-free number. For great resources for teens to start their own campaign check the National Organization for Youth Safety, NOYS®. It is the longest operating coalition of youth serving and youth membership organizations in America. NOYS® youth leaders take their training, experiences, and energy back to their respective organizations to mobilize their peers to impact their schools and communities. Download their free resources at noys.org/resources.aspx. Shriners Hospitals for Children® is the only multi-hospital health care system in the United States with spinal cord injury rehabilitation and management programs designed specifically for children and teenagers. All care and services are provided regardless of the patients’ ability to pay. AT&T is committed to putting an end to texting and driving. 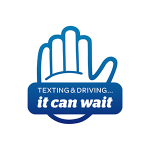 Their message is simple yet vital: when it comes to texting and driving, it can wait. Their website offers resources, videos & PSA’s, ways to get involved and a free downloadable app for AT&T customers to help prevent texting and driving called DriveMode™. DuPont Sustainable Solutions offers collaborative consulting services and solutions-driven technologies that can help organizations transform their workplaces and work cultures to become safer, more operationally efficient and environmentally sustainable. Our blended learning solutions feature award-winning technologies and engaging content to help accelerate learning and employee skills development. The Network of Employers for Traffic Safety, NETS is dedicated to improving the health and safety of employees, their families and the community by preventing traffic crashes that occur both on and off the job. They offer free downloadable Drive Safely Work Week toolkits which have a focus on distracted driving policies and campaigns for employers and their families.